The S.C. Department of Natural Resources (SCDNR) Board has approved all migratory bird hunting seasons for 2016-2017. The seasons, daily bag limits, and methods of harvest have been published in the federal register by the U.S. Fish and Wildlife Service. The bag limit for the 2016-2017 dove season has been changed to 12 due to data from previous seasons. The SCDNR has gathered data on the harvest of doves on public dove fields for 12 years. The 2015-2016 season again saw one of the lowest harvest rates since the department began collecting information in 2003. During that season, the average number of doves harvested by hunters on public fields was 2.75. The agency has maintained a robust program of monitoring dove harvest to make informed decisions on seasons and limits with the goal of providing maximum opportunity and harvest success for dove hunters. The data collected by the SCDNR staff was taken into consideration by the SCDNR Board in the decision to set the limit of doves this year. Based upon constituent concerns over lower dove harvest and public input from a public dove hunter survey, the SCDNR Board felt a change in the daily bag limit was necessary. Survey results show 47.11 percent of hunters prefer a 12-bird bag as opposed to a 15-bird bag, which is preferred by 43.58 percent. The remaining 9.31 percent of hunters surveyed recommended other options or had no preference. Harvesting data will be monitored as the season progresses and hunter input will be considered in order to best determine future daily bag limits for dove. The 2016-2017 South Carolina mourning dove season is Sept. 3-5 (noon until sunset); Sept. 6 – Oct. 15; Nov. 12-26; and Dec. 15 – Jan. 15. 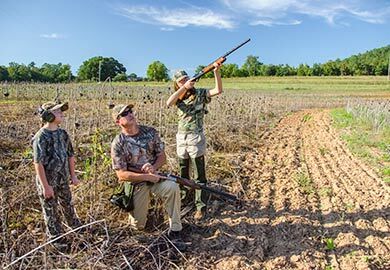 Legal hunting hours for mourning dove season, with the exception of Sept. 3-5, are from 30 minutes before sunrise until sunset. Under the Migratory Bird Treaty Act, seasons for migratory game birds cannot begin before Sept. 1. All information related to migratory bird hunting can be found in the SCDNR state regulation guide.